Finest quality handmade kneehole desk in medium "fume" English oak. Shown on a plinth with plain turned drawer knobs and 4 panels in each end. The depth of the drawers may be specified. 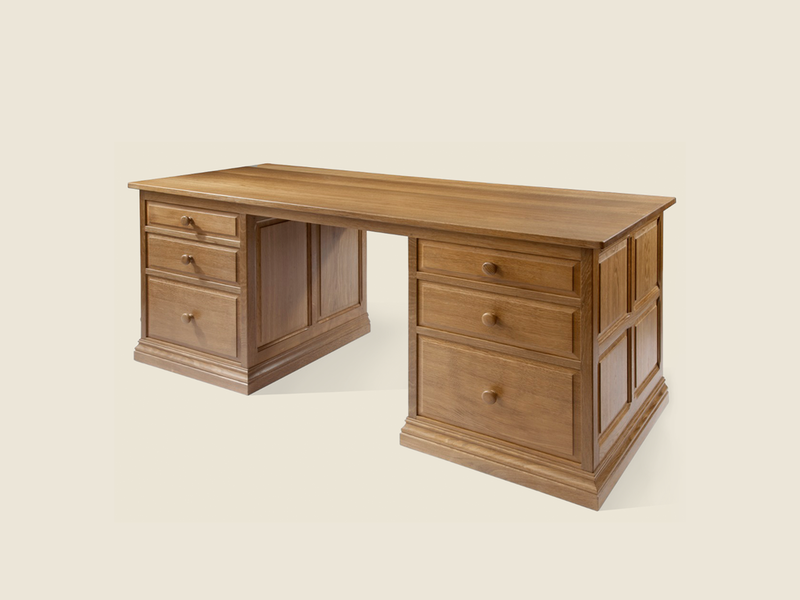 This desk top has a planed finish which has has been treated with polyurethane lacquer to provide protection against heat and spills but may be oiled or waxed. The desk can be custom-made to order, with a single or 2 panels in the ends, cupboard and 1 drawer on each side or carved "rose" drawer knobs. Optional extras may include tooled leather top, wrought iron fittings or modesty panel.